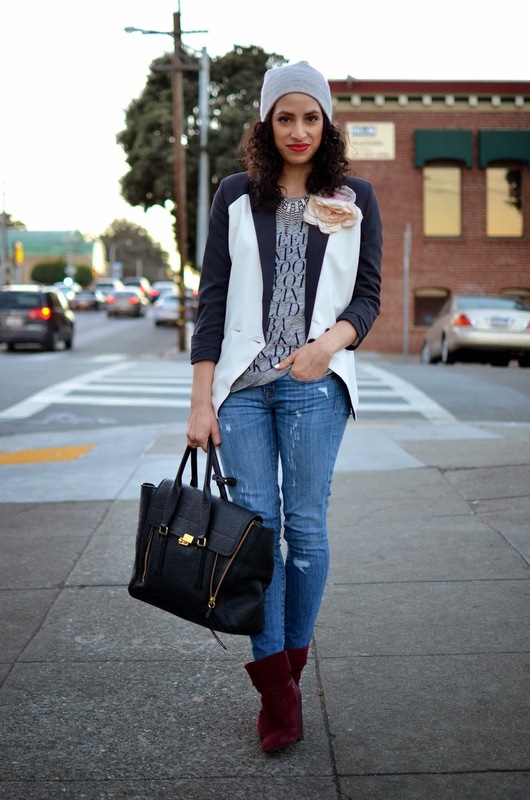 Oooh, I like this blazer! I love how it adds a little menswear to the look! 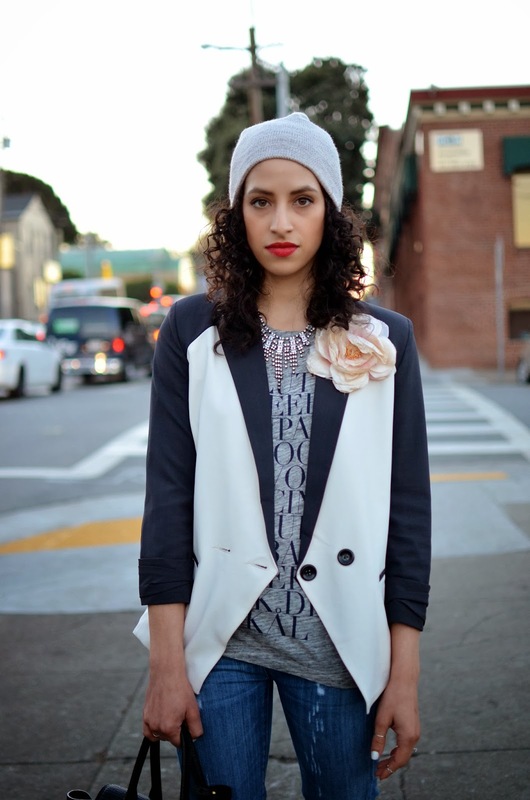 Love the color combo of the blazer lady! Very cute. Love your blazer!!! 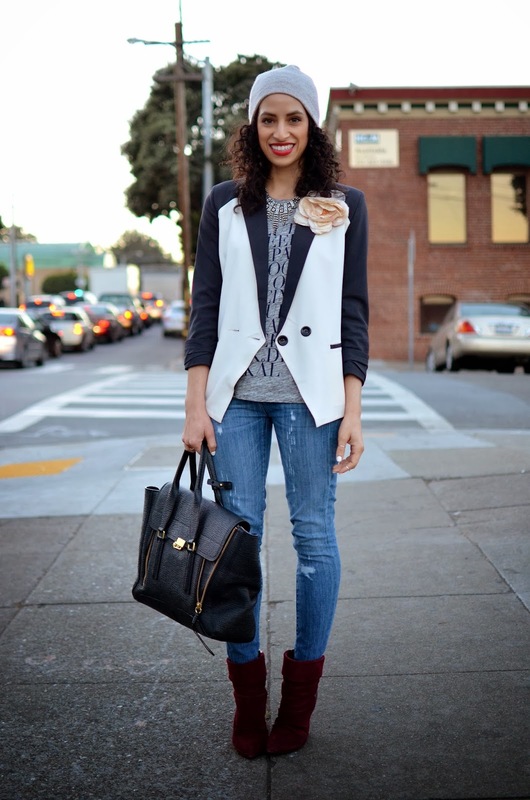 I've been into black blazers lately and now I need to get a black and white one! Blazer days are always the best! Loving the colourblocking and vintage style of this piece. So beautiful!